They asked for privacy at this time. Actors Chris Pratt and Anna Faris announced on Sunday night that they are separating. Faris, who currently stars in the CBS comedy "Mom," shared the statement on her social media pages as well. Pratt and Faris met in 2007 when they were both cast in the film "Take Me Home Tonight." They married in 2009 and have a four-year-old son named Jack. 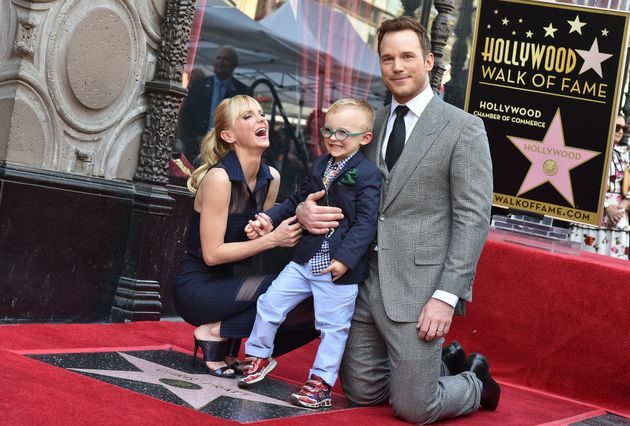 The family was photographed together in April when Pratt received a star on the Hollywood Walk of Fame. Faris honoured Pratt during the ceremony, describing him as "tough, resilient, witty and scrappy and the kind of person that can make a really bad situation good." Pratt and Faris with their son Jack at the ceremony honoring Pratt's star on the Hollywood Walk of Fame. Faris and Pratt also spoke candidly about how Jack was born prematurely and had to spend a month in the neonatal intensive care unit. "My husband stood by me and held me and was my rock and my anchor," Faris said. In response, Pratt thanked Faris for her trust and sacrifice. "You have my heart, my dedication, my trust. Without you, none of this means anything," Pratt said. The couple asked for privacy during this time, and assured fans that they would continue to have the deepest respect for one another.